Apple has been ordered to pay 13 billion Euros in tax arrears plus interest by the European Commission to the Irish government after a three-year investigation which concluded that the US firm’s Irish tax benefits are unlawful. 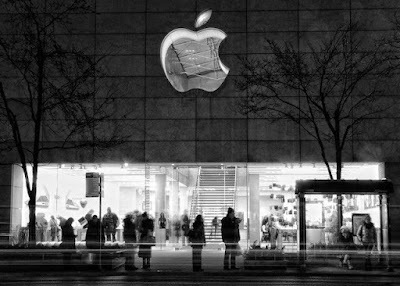 The 130-page ruling on Apple's Irish operations was published on Tuesday following a three-year investigation. Margrethe Vestager, EU commissioner said: “Member states cannot give tax benefits to selected companies which is illegal under European Union rules. She continued: “The Commission’s investigation concluded that Ireland granted illegal tax benefits to Apple, which enabled it to pay substantially less tax than other businesses over many years. Although Apple’s tax fine is 4o times bigger than any previously known fine slammed by the European Commission, it is not the only company that the commission is probing or has penalized. Others includes-Online retailerAmazon.com Inc. and Hamburger group McDonald’s Corp who are been probed over taxes in Luxembourg, while coffee chain Starbucks Corp (SBUX.O) has been ordered to pay about 30 million Euros to the Dutch State. Apple and Ireland said they will appeal the decision of the European commission. By the way, Apple is not a stranger to legal tussle as it has battled Samsung and several companies in China.